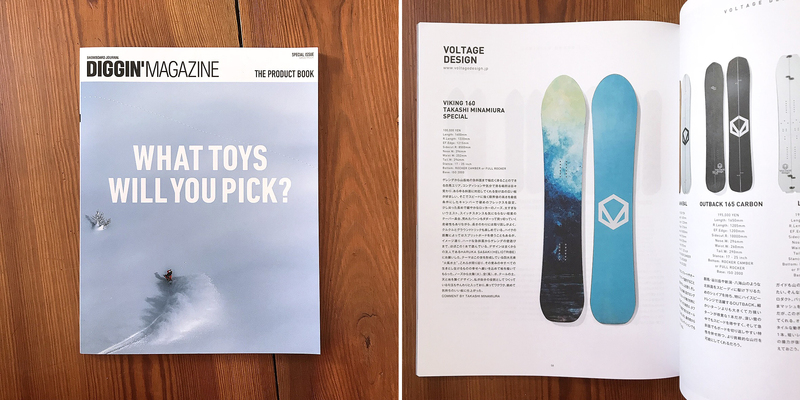 This is a collaboration product with Japanese pro snowboarder Takashi Minamiura supported by Voltagedesign. 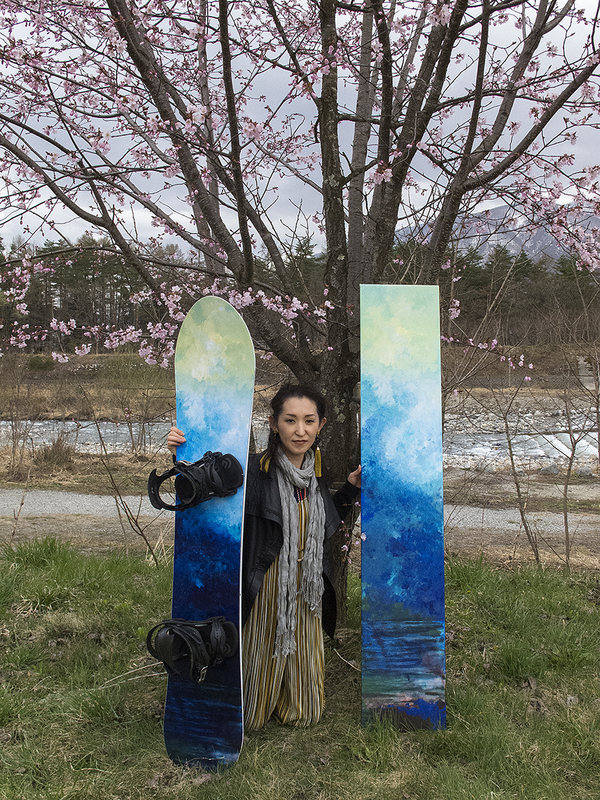 My painting "Dream Of Jade / 2017" is printed on the snowboard and will be released from 2018 winter season. 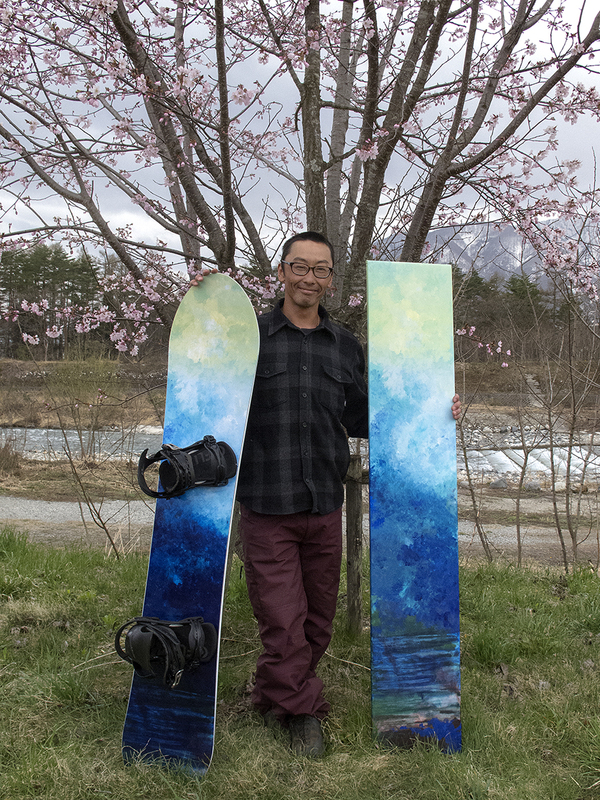 Takashi is one of a great Japanese backcountry pro snowboarder represent in Hakuba, Nagano. He wishes for happiness of all living creatures in all the nurturing energy of the four elements (earth, water, fire and wind) which constitutes our mother earth. 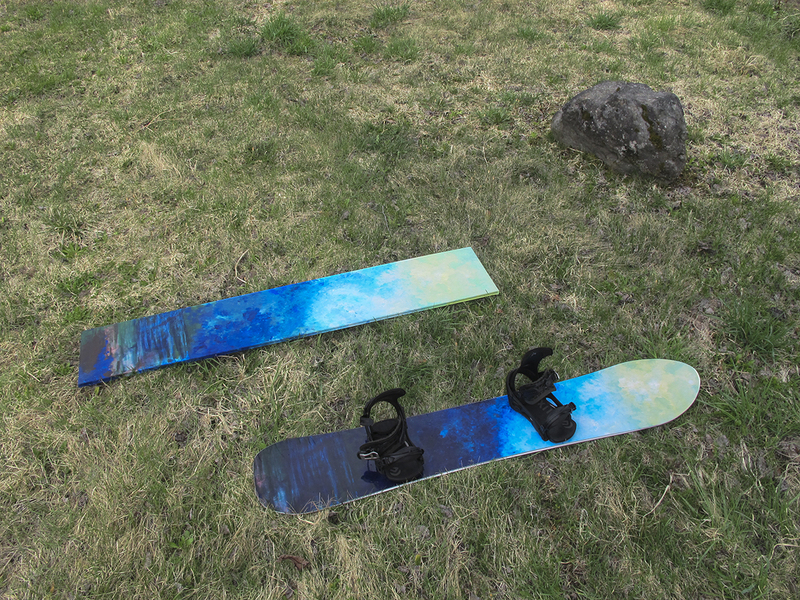 - I have got his wishes in my heart and focused on this creation.